Injury-ravaged ​Milan came out fighting in the second period and levelled things up just after the hour mark, a curling free-kick from bright spark Suso beating everyone to find the net, and from then on Gennaro Gattuso's men were the more likely to find a winner. GET IN THERE! @suso30oficial with the equaliser! STAR MAN: Giovani Lo Celso - He really steps up on European nights for Betis, excellent again, the focal point to his team's attacks, and looked menacing all night. Took his goal really well. WORST PLAYER: Feddal - Most of the Betis back three struggled with moving the ball out from the back but Feddal was most uncomfortable, often looking uneasy, particularly when Betis were under pressure in the second half. Key Talking Point: Gennaro Gattuso's men looked off the pace in the first half, really lacking an attacking impetus. The midfield, particularly Kessie and Bakayoko, did not give the forwards any service and Betis simply looked hungrier and the more energetic of the sides. Football really is a game of two halves though, as Milan emerged looking like a different team in the second half, always looking the more likely to go on and win the game. 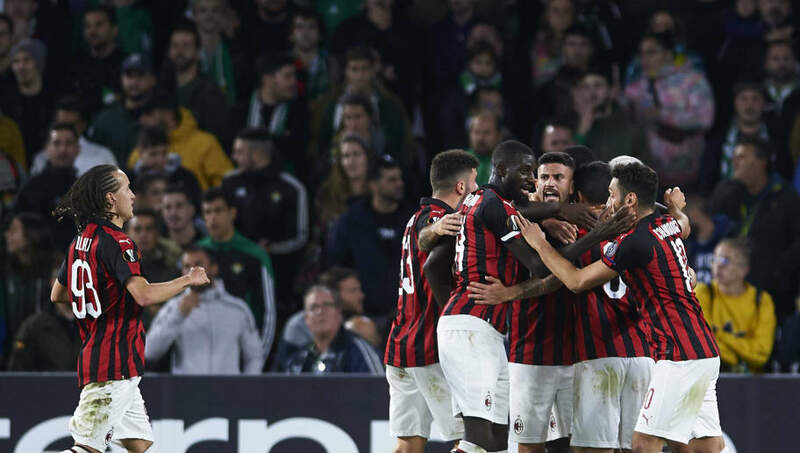 Milan exploited Betis' uneasiness on the ball at the back and Gattuso should be given credit for changing systems at half time. STAR MAN: Suso - One of the few players who gave Milan energy and purpose in the first half. His goal was a justified reward and helped drag his side back into the contest. Was the catalyst for an improved Milan. WORST PLAYER: Fabio Borini - Particularly in the first half, Borini, a striker by trade, was run ragged when deployed at right wing-back by the left-sided duo of Junior and Lo Celso. A change in system by his manager ensured his attacking threat was used more but was weak defensively all night.